In one of the worst Naxal strikes, the ultra-leftists attacked the Congress' Parivartan rally at Sukma in Chhattisgarh and shot dead senior Congress leader Mahendra Karma. Karma received dozens of bullets and succumbed to the gunshots. 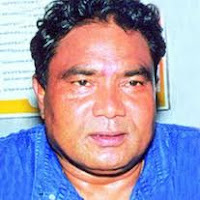 Former union minister Vidya Charan Shukla was critically injured. Senior leader Nand Kumar Patel and his son were also abducted by Naxalites. The incident in Bastar region has shocked the State government. Congress leadership has alleged that BJP government didn't provide security to the party workers during the rally. More details were awaited as police were yet to reach Darbha in Sukma, where the Maoist attack took place. Later, Nand Kumar Patel and his son were also found dead. The killings caused nationwide outrage. In all 28 persons including Congress leaders, workers, security personnel and other policemen were killed in this daredevil attack by Maoists.